Ada pertanyaan untuk Avi Airport Hotel? Direnovasi pada tahun 2015, Avi Airport Hotel menjamin penginapan yang menyenangkan bagi para tamu di Hanoi baik untuk tujuan bisnis maupun plesiran. Dengan lokasinya yang hanya 25 km dari pusat kota dan 2 km dari bandara, hotel bintang 1 ini menarik perhatian banyak wisatawan setiap tahun. Hotel modern ini terletak di sekitar obyek wisata populer kota ini seperti Bandara Internasional Noi Bai, Tram Y Te Xa Hien Ninh, Tram Y Te Xa Nam Hong. Avi Airport Hotel menawarkan pelayanan sempurna dan segala fasilitas penting untuk memanjakan para wisatawan. Layanan kamar 24 jam, WiFi gratis di semua kamar, Wi-fi di tempat umum, tempat parkir mobil, layanan kamar hanyalah beberapa dari fasilitas yang membedakan Avi Airport Hotel dengan hotel-hotel lain di kota ini. Akomodasi hotel telah dipilih secara cermat demi kenyamanan maksimal dengan adanya handuk, lantai kayu/parket, rak pakaian, sandal, televisi layar datar di beberapa kamar. Hotel ini menawarkan fasilitas fantastis, termasuk taman, untuk membantu Anda bersantai setelah sepanjang hari beraktivitas di kota. Dengan lokasi dan fasilitas ideal yang setara, Avi Airport Hotel dapat memenuhi berbagai macam hal. Tamu berusia 7 tahun ke atas dianggap sebagai tamu dewasa. I booked a room at this hotel due to the Agoda reviews. Unfortunately I was put in room 101 which is facing road and noisy at night. I usually like to lie in bed and watch a movie on TV before falling asleep early in the evening on the eve of a earl y morning flight. Unfortunately I was not able to do this with the television not working and noise coming in from the motorbike engines. Do yourself a favor and book an Uber to the airport 60,000 (au$ 3). I let the hotel talk me into getting a taxi and taxi driver asked my wife from 110,000. When I found out, I only managed to get 20,000 back off cab driver. 90,000 trip for us. pros big room friendly service close to local eateries close to great gym, cost me 50 cents cons no working TV loud motorbike and car engines and horns No elevator although they are happy to carry bags up to your room for you. No English speakers late at night. 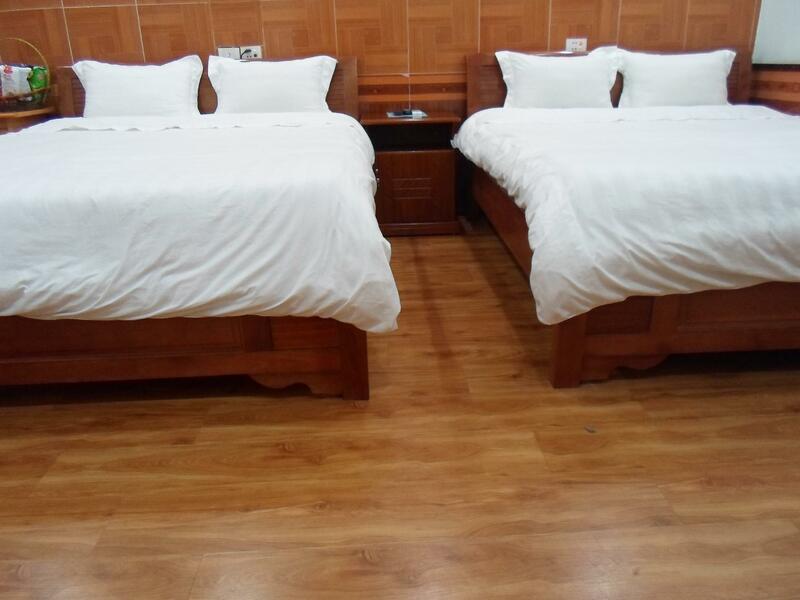 This is a great value hotel for transit visitors to Hanoi who need to catch an early morning flight. There is excellent wifi and airport pick-up service and of couse very friendly and attentive staff. It is a pretty large hotel and rooms are fairly basic although I understand that there are plans to upgrade the rooms. Great value for location. WARNING: I had a 9:30am flight the next morning at the airport right nearby, and miraculously these guys do not have a set system on how to get their guests to the airport. They just tell you to go to the street or order a "Grab" had to pay the hotel guy to take me on his own motorbike and he dropped me in the middle of the highway. In a lot of ways the hotel is good, speak English, and is homely, but I believe this is a critical component of a hotel that claims airport convenience. This hotel that used to be a homestay is close to the airport. Convenient for people who just arrived early in the morning and are about to leave by midnight. The couple who runs this place are truly kind and hospitable. It is also close to the market. This hotel is just 5 minutes to No Bai International Airport. They served tummy filling pho for only the price of 30,000VND....very cheap but it tasted good! The owner-manager was helped me and my son in anyway he could. He printed our plane tickets to Laos plus the he also printed our hotel vouchers in Luang Prabang for FREE! The computers were also free to use at the lobby. He also assisted to call a taxi for us. His wife was friendly and accommodating to give us information. This hotel is just across the many stores and markets for foods, drinks, clothes, etc. Also few walks to cozy coffee shop and many more stores. Take note that this family owned hotel has no elevator/lift If you want to check in here, make sure that you can carry your luggage to your room. Anyway, it was the owner who helped us, good thing that our baggages were not heavy. Very close to the airport. You might be able to walk to the airport if you have time and light luggage. The hotel looked very old, but bed room was good enough to stay for overnight. Breakfast was very nice . They have beef noodles, chicken noodles or western at cheap price. Perfect for our arrival in Hanoi after two days of flights. Basic facilities with very friendly staff and everything we needed. Bao and his family greeted us warmly and helped us to get a cab to continue our journey the next day. Very grateful to have a calm place to breathe before jumping into the hustle and bustle of Hanoi proper. Excelent hotel near the airport! Very good place if you just arrive or have to leave Vietnam. The staff is súper nice and will help you for your needs. The rooms big, clean and confortable bed. I had been in this hotel more than once and I recomend it. We were impressed by hospitality in this hotel. Guys are very nice and helpful. Room was very clean, spacious and neat. Breakfast was included and it was really great. Really liked this hotel, next time for sure we will stay there again. The room was very, very small, absolutely not the same as on the picture. I had booked this room because it seams to be a big one. The staff was very friendly. We didn't manage to sleep very well as it was noisy, the bed was hard and because of the light in the corridor. It is very close to the airport. They make the tranfert to the airport, even if I think it was a bit expensive. We didn't eat there. 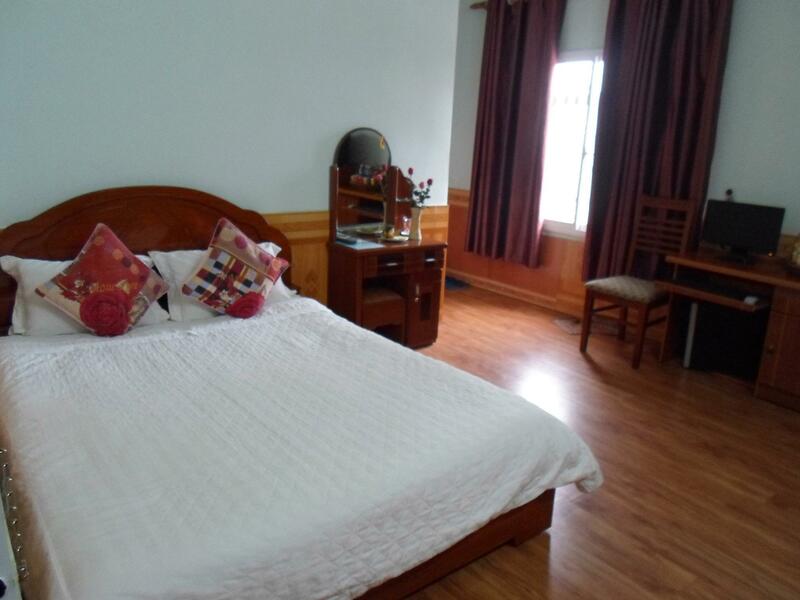 It is our last stop in Vietnam and the perfect end here, the host is very friendly, serving us very good food, and the room is spacious with comfortable bed, good choice in same price of airport transfer hotel. There is a very kind and friendly staff ,he came to pick me up in person because the taxi driver not familiar with that place, what's a good service, I would give him double thumbs up, yeah he can cook very well too! try it! 15 minutes ($5 taxi) from airport for early departure, very friendly service from all staff members, and a super smiley baby too! Can't get away from street noise (honking) but my final night in Vietnam was great because of the warm reception & good value at Avi. My TV had only 1 channel in Vietnamese. Owner and staff (sons?) both great and spoke basic English - organized my taxi to airport next day 6am. I walked around village for few hrs - seemed to be only foreigner around. Friendly hellos from people & I was even invited for Bia Hoi w locals. Returned to hotel for dinner (fried chicken or pho) - I had good pho @ 40,000 dong. I support this family and this hotel. Hotel staff were very friendly and helpful! Clean, simple, comfortable rooms at a great price. Right next to the airport. 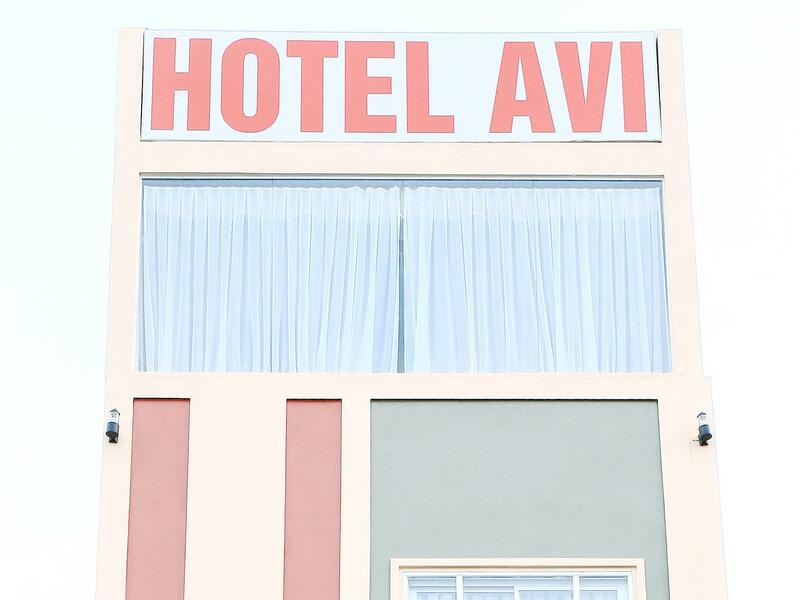 We were very happy with our stay at Avi. 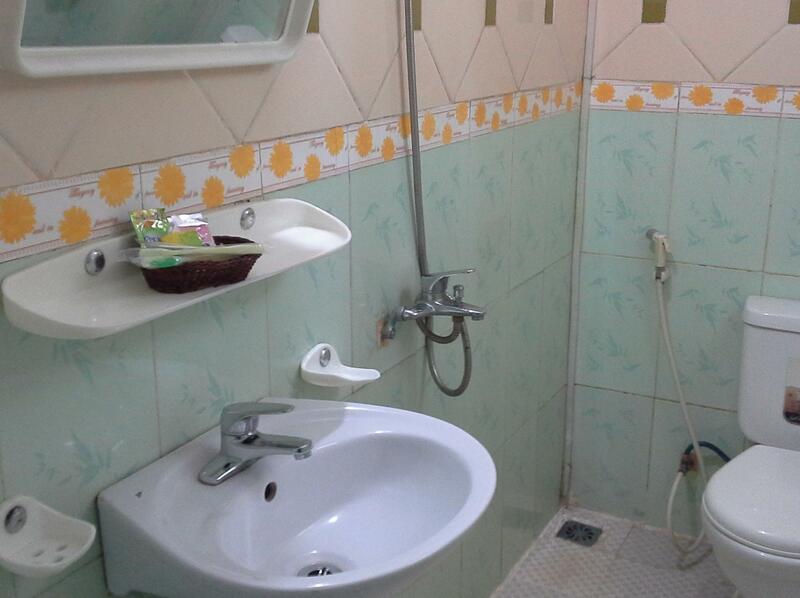 The staff were more friendly and helpful than any other place we stayed in Vietnam. Our room was simple, but clean and comfortable. And everything worked! TV, wifi, ac, shower, locks, etc. Highly recommend it. After a long day traveling the owners made us feel safe and welcome, we had good food in the restaurant and the room was clean and comfortable. Airport shuttle service was brilliant, waiting for us as we checked out and took around five minutes. 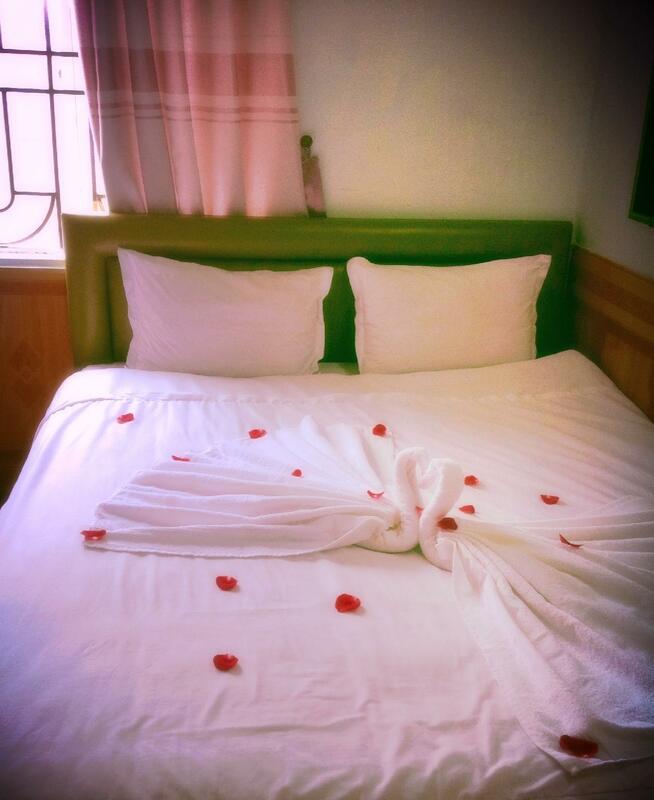 If you need to stay somewhere close to Hanoi airport i would definitely recommend.